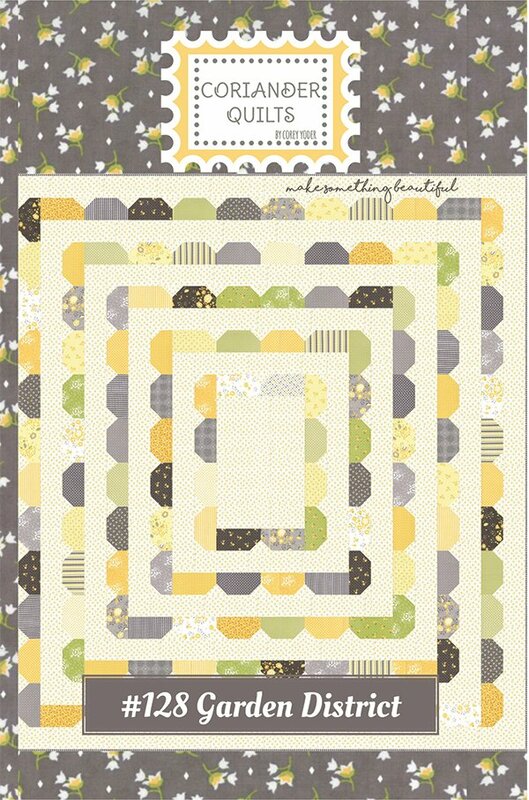 Garden District by Corey Yoder for Coriander Quilts CQ128. Quilt Size 72" x 78". Fat Eight Friendly. Features Pepper and Flax fabric collection by Corey Yoder for Moda.